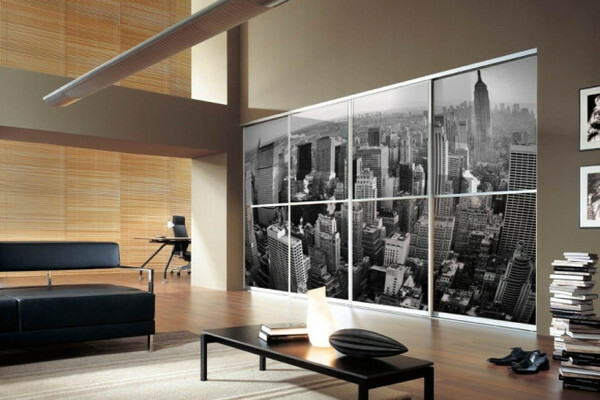 Printed glass sliding wardrobe doors are an amazing way to totally bespoke your bedroom furniture. 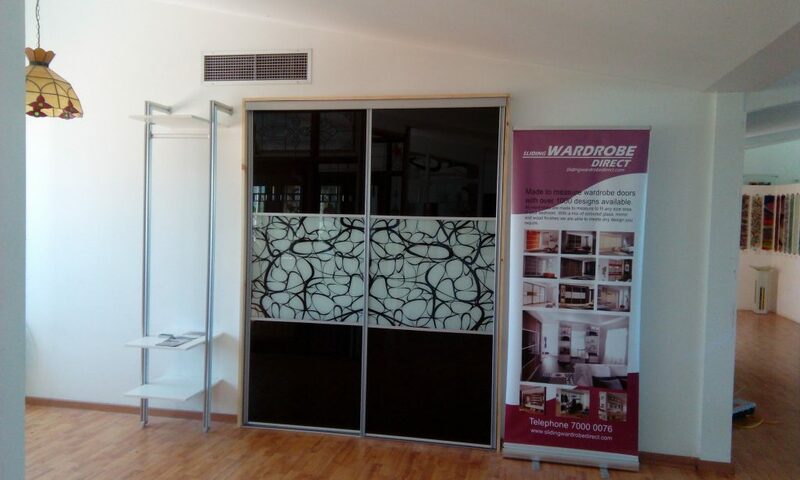 Working with our partners Shikkis glass in Larnaca we are now able to print almost any image onto the glass to make you bedroom furniture wardrobes unique to you. Here you can see the display we have installed at Shikkis glass in Larnaca showing a sleek black and white swirl designed by their inhouse artist. It is complement by the jet black lacobel glass to make these sliding wardrobes doors look amazing. If you have a specific design you would like for your sliding wardrobe doors we can work with you to product the perfect design. For some really cool ideas you can see more HERE or call us on 7000 0076 and one of our designers can help you to create a new design.